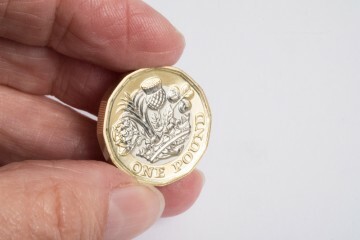 Now is the time to prepare for the new 12-sided pound coin which will affect the ATM and Coin depository industry dramatically, seeing an influx in demand for multiple hardware upgrades for Leotronics customers. March 28th will mark the end of a 30 year legacy, replacing the traditionally rounded pound coin with a model that the Treasury is convinced will be almost impossible to counterfeit – with hologram imagery, micro lettering and a hidden security feature. In order to plan for the change, we recommend that small business owners either spend or bank any old pound coins before they cease to be legal tender as of October 15th 2017. It’s important that they make all the necessary upgrades in advance to their machinery in order to accept the new shape and weight as payment – such as vending machines and lockers. For further information regarding the new pound coin 2017, businesses are being advised to visit the Royal Mint website. As well as the new pound coin, more notes are on the way too following the success of the polymer £5 note. During summer this year, we will see a new £10 note and a new £20 note is expected to be introduced in 3 years time. With on-going projects within the ATM and Coin depository industry spanning across 10-15 years, Leotronics are trusted and prepared for the surge in vital connector components and cable assemblies required to final build units of ATM’s and self-service checkout systems. Contact us today to find out more about how Leotronics can help your business prepare for the arrival of the new pound coin and following polymer notes.